TALLAHASSEE — A trend has emerged in the storm-battered Sunshine State in which a relatively small number of roofers and attorneys are utilizing assignment-of-benefits (AOB) clauses in homeowners' insurance policies to sue insurance companies for more than the actual cost of repair or, in some cases, for non-existent damage. According to a report from WFTV 9 in Orlando, these roofers are falsely claiming that roofs need to be replaced because of hail damage and offering to do the work for free. However, in most cases, there is no storm damage—just a roofing company looking to obtain an AOB from homeowners so they can bill the insurance company for non-existent damage. Scott Johnson of Johnson Strategies LLC said this kind of activity is “absolutely” rampant in Florida, particularly in upscale neighborhoods where the roofs are an average of 18 to 20 years old. 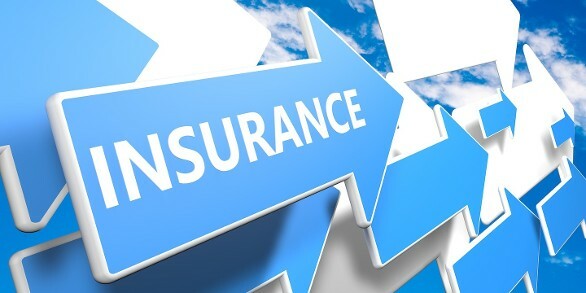 According to Johnson, insurance companies are left in a difficult situation when faced with claims from third-party service providers who sue on behalf of the homeowner. “It’s proven more cost effective to simply go ahead and provide the roof replacement or repair,” he said. Johnson said most of these companies come from out of town to offer free roofs, and the number of law firms participating in this scheme is not that high. “The vast majority (90 percent) of the…claims come from a list of about 20 law firms,” Johnson said. Of the 2,422 wind/hail claims filed in 2014 in Orange, Lake, Pasco and Hillsborough counties, Johnson said 72 percent were tied to just three roofing companies. Cam Fentriss, legislative counsel for the Florida Roofing and Sheet Metal Contractors Association, told the Florida Record, “I don’t think this type of rip-off is rampant quite yet, but it is well on its way.” She added that the problem has spread beyond South Florida into Orlando, Jacksonville, Tallahassee and other parts of the state. Fentriss said timing makes this type of scam difficult and expensive for insurers to prevent. 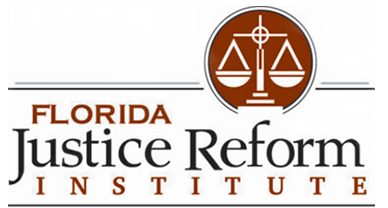 “The one-way fee is meant to benefit the homeowner, not the vendor,” FJRI President William Large told the Florida Record. Typically, Large said the insurance company will contact the homeowner when an inflated claim is filed by a third-party vendor. He said the insurance company will ask why the larger claim amount was filed. According to data from the Department of Financial Services’ Service of Process (SOP) database, Florida’s population grew by 26 percent between the years of 2000 to 2016, but the number of lawsuits filed against insurance companies in that same time period jumped about 280 percent. “Litigation involving AOBs is unique in that it is abundant, yet derives from a very small set of attorneys, law firms, and vendors,” the FJRI said in its update. Nelson said the regional BBB branch received more than 57,000 inquiries about roofing contractors in 2016, yet only received 150 complaints about the same type of business. “We do receive inquiries from consumers especially when severe storms come through about companies using tactics such as these and always advise them to get several written quotes, the business licensing information and insurance information,” Nelson said. Nelson said she hopes these types of scams do not drive up insurance premiums. “This is an opportunity for insurance companies, state agencies, non-profits and the media to work together to educate Florida consumers about how to properly hire a contractor and what their rights are as a consumer and what their responsibilities are as a homeowner,” she said. Nelson added that the bureau has partnered with the Florida Department of Business and Professional Regulation to educate consumers about hiring licensed professionals. “We would encourage any homeowner that is contacted by a business unsolicited about storm damage to request estimates from other roofing companies in the area to verify if there is in fact damage to their home,” Nelson said.